Oakwood Exteriors is the Waupaca roofing & exterior professional you need to call. We offer premium roofing, siding, & window replacements utilizing the highest quality products and most efficient techniques in the industry. With thousands of satisfied customers across central Wisconsin you can be confident that Oakwood Exteriors is the right company to work on your home. GAF Timberline HD asphalt shingles are North Americas #1 selling shingle backed by the best warranty in the roofing industry. Couple that with Oakwood Exteriors certified installers and you will have the peace of mind that your Waupaca home is protected for years to come. 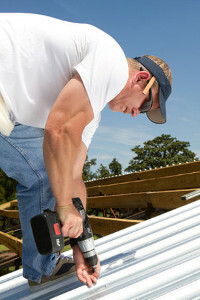 Most roof replacements in Waupaca are completed in just one day! Decra stone coated steel shingles will completely change the way you think about metal roofing for your home in Waupaca. Oakwood Exteriors can help you choose the best siding materials and colors for your Waupaca home using our 3D home visualizer! When it comes to replacement windows there are a couple methods to choose from. Those methods are either a “pocket insert” or “full frame” replacement. Oakwood Exteriors recommends a “full frame” replacement window which includes new flashing, insulation, and interior trim. This method of replacement windows offers many advantages for your Waupaca home. Most full frame replacement window projects in Waupaca are completed just one day! Oakwood Exteriors installs spray foam insulation to improve the comfort and energy efficiency of your home in Waupaca. Spray foam insulation has the highest R-value compared to other insulation materials. Spray foam insulation properly insulates tight spaces where other insulation materials simply won’t fit. Spray foam also provides the tightest air seal keeping moisture, mold, pollutants, and allergens out. We went with Oakwood exterior to install our new roof because of all the positive review on angies list. They were professional and did a quality job. Very happy with our new roof. The crew arrived on time. They did a professional job. They cleaned up after they were done. If you’re looking for a new roof, I would recommend this company. We needed to replace the shingles on the roof of our house. We had several estimates and Oakwood Exteriors came back with the lowest price, best samples and most professional quote package and contract. Jordan's crew replaced our roof in one day. There were no unexpected costs. The crew kept all material off the landscaping, deck and pool area. They were very friendly and worked extra hard at keeping the grounds clean. Jordan also helped in filling out the CertainTeed claim form and we really appreciated that. If you need your roof done, and done right, I would highly recommend Oakwood Exteriors. Thank you for the great job Jordan. We will be contacting you again for any future remodeling and/or siding projects! We recently had Oakwood Exteriors replace our roof and had an excellent experience. We obtained several quotes however Oakwood Exteriors was competitive in pricing, had superior customer service and offered a quality product and workmanship. The estimate we received blew away the competitor. In reading our estimate I found it noteworthy that some of our existing materials could be re-used - this spoke volumes to us considering every other estimate stated they would replace everything - a business that is honest and not just about the mighty dollar is hard to find these days! We signed the contract and were scheduled quickly. The crew worked fast and hard and the clean up was very thorough. I would recommend Oakwood Exteriors to anyone and everyone!